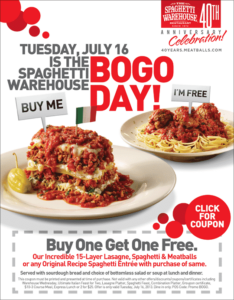 On July 16, you can head to a participating Spaghetti Warehouse with this coupon to snag a Buy 1 Get 1 FREE offer! This includes the Incredible 15-Layer Lasagne, Spaghetti & Meatballs, or any Original Recipe Spaghetti entree with purchase of the same. Dine in only. 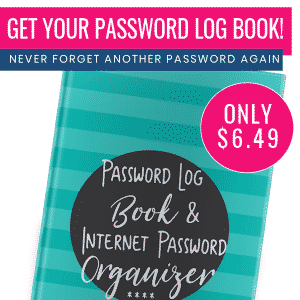 Not valid with any other offers, discounts, coupons or certificates including Warehouse Wednesday, Ultimate Italian Feast for Two, Lasagne Platter, Spaghetti Feast, Combination Platter, Groupon certificate, $10-3 course meal, Express lunch or 2 for $25.